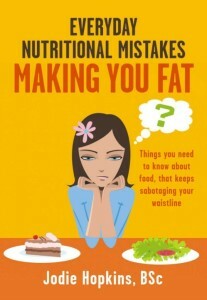 Things you need to know about food, that keeps sabotaging your waistline. Also available for purchase through Amazon, Apple – iBooks, and other eBook Online Retailers. *READ BELOW FOR INSTRUCTIONS. ePub – For Apple (iPad/laptops/iPhone), Sony Reader, Nook. The world is full of contradictory nutritional information, people are confused more than ever. Do you eat red meat or not eat red meat, do we drink milk or not drink milk? It is really hard to work out what we should be eating daily and what is in the best interest for us. Research is always proving things different over time, or it comes around again. A bit like fashion? We generally want to eat better as a whole, but sometimes we want to enjoy some not so good stuff that tastes yummy anyway. FEED THE BODY! Anyone can tell you exactly what to eat. There are plenty of diet and nutritional books out there that are doing that. I’m not going to do that. 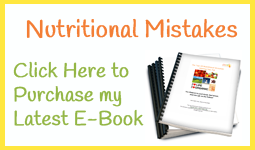 I haven’t written this nutritional e-book just to tell you how and what to eat. It’s written to help you make your own decisions, to get informed; to decide what is best for your body based on the information that is available to you; to help you make some sense out of all of the confusion out there in nutrition. Of course I do offer alternatives to you though, which can make a dramatic improvement to the way you look and feel. The one thing I really want you to understand is that despite what a food or meal taste like, despite how much energy it provides you, at the end of the day, the food you ingest daily has a primary aim. This number one aim is to provide your body with no nourishment in order to feed all your cells in your body, to grow and heal and move. Is what you’re eating actually food or pretending to be food? Our trillion of cells are functioning every second of the day, and they need life force, nutrition, oxygen, water, movement and rest. Good nutrition = healthy cells, healthy body, healthy shape! Open your eyes with this easy to read, informative e-book and learn how your every day eating choices are affecting YOUR health and waistline, and what to do about it! What’s the use of me having knowledge that can make a difference to someone’s life, if I don’t share it? Do you believe cholesterol to be a villain, that margarine is healthier than butter, that Diet Coke won’t gain you fat, or perhaps eating gluten-free may be the way to go? This e-book has tons of information on how certain every day foods that you may be eating now, actually affect your body, and spreads light on some of the confusing food facts that circulate in the media and diet books, that leaves you not sure what to eat? By the end, you will feel more informed and empowered to make your own healthy decisions, based on how food affects YOUR own physiology! You alone, are the one who decides what to eat, when, how much, and how frequently! (Anybody can read Kindle EBooks—even without a Kindle device—with the FREE Kindle app for smartphones, tablets and computers, available on Amazon when purchasing). → After your purchase, you will receive your eBook file via email, then open, save and view in your preferred electronic device, or computer, or print. eBooks view and ‘flow’ differently on iPads, tablets, kindles, nooks, laptops… To change your viewing preferences, go to your ‘General Settings’ and into the ‘book reader app’. If you enjoyed the eBook, please feel free to leave a Review from where you purchased it or on my website, or social media sites.